With entrancing collages and lyrical narration, the creator of the acclaimed "Mirror" follows the epic flight of an extraordinary bird. Each year, bar-tailed godwits undertake the longest unbroken migration of any bird, flying from their breeding grounds in the Arctic to Australia and New Zealand and back again. They follow invisible pathways -- pathways that have been followed for thousands of years -- while braving hunger and treacherous conditions to reach their destination. 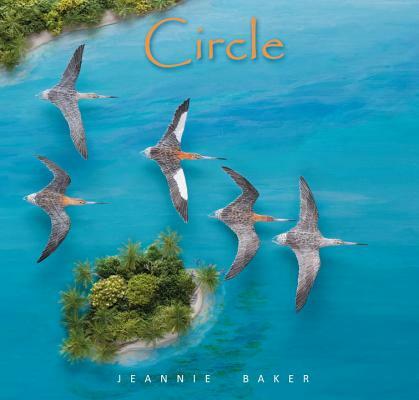 In "Circle," Jeannie Baker follows the godwit's incredible flight, taking us over awe-inspiring scenes as the birds spread their wings above such beautiful landmarks as the Great Barrier Reef and China's breathtaking cityscapes.